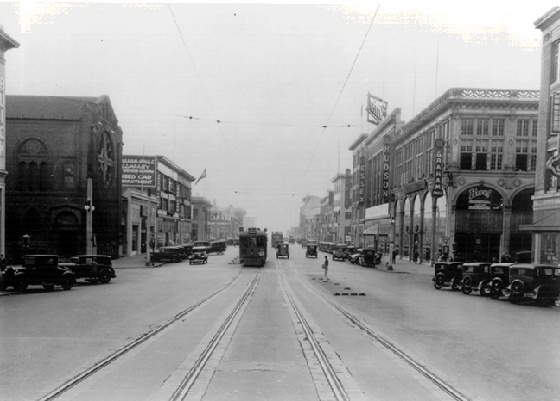 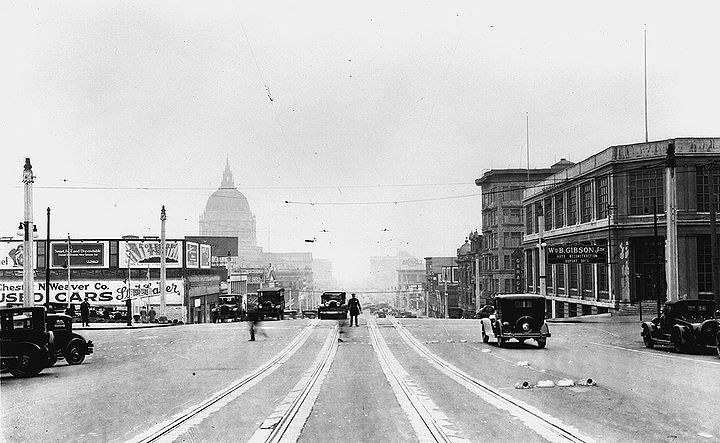 Van Ness Avenue south at Eddy Street, with Auto Row well established in this 1929 photo. 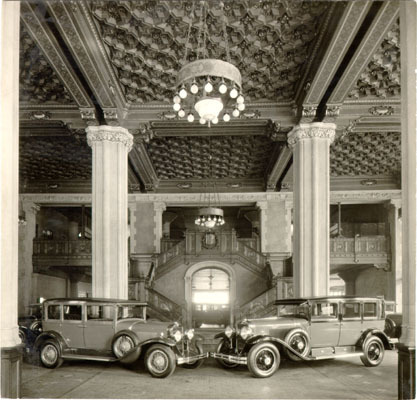 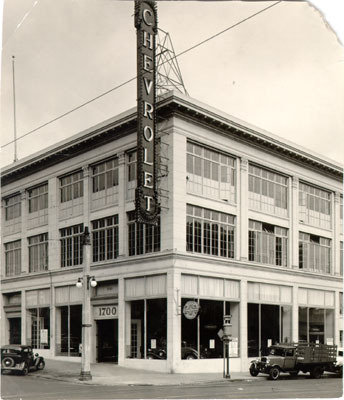 Chevrolet dealer at Van Ness and Sacramento, 1933. 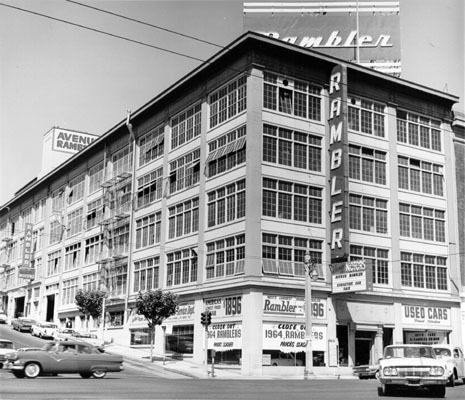 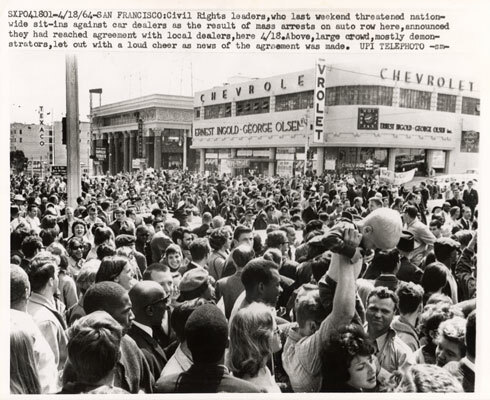 Rambler dealer, Van Ness Avenue, August 1964. 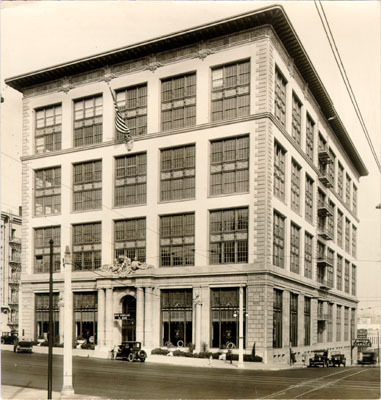 Don Lee Cadillac dealership, Van Ness and O'Farrell, 1928. 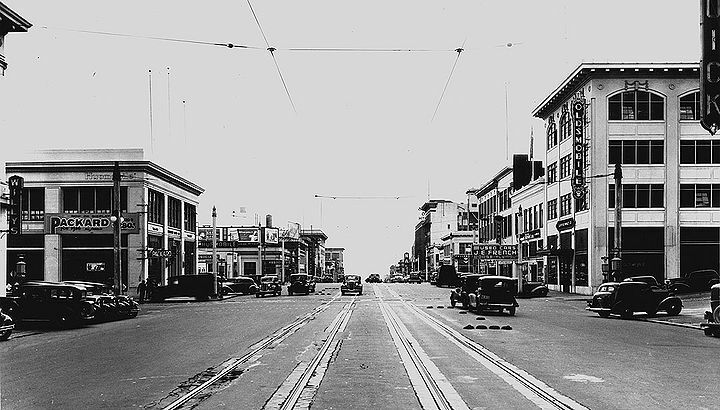 Van Ness Avenue south at California Street, with an H-streetcar making its way through "auto row" in 1936.